Mid 1980s London comes to life with Nina Stibbe’s letters home to her sister. Funny, poignant, refreshing, and thoughtful, I really enjoyed reading this memoir. 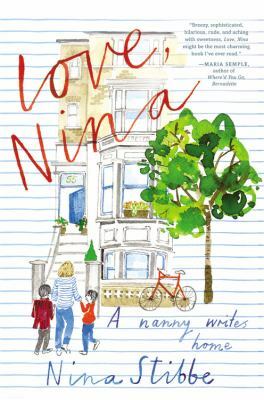 At 20, Nina becomes the live-in nanny for Sam and Will Frears, who live with their mother, editor Mary-Kay Wilmers. Sam has some significant health issues, and they are mentioned but not a focus of the book. Literary celebrities like Alan Bennett frequently stop by, and this makes for some unusual dinner table conversations. Great books are discussed, as well as how to swear in German. Nina’s sister sends her recipes, and some are more popular with the family than others. Nina and the boys have adventures in London, comment on Mary-Kay’s dates, and casually refer to Nina’s trouble parking the family car. Nina is encouraged to consider college, and struggles with the recommended reading list in English literature. Even after she starts school, she maintains her close connection with the family.